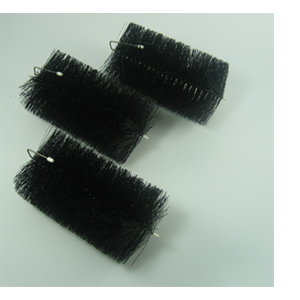 Universal replacement filter brushes will fit a variety of filter systems on the market. Each has convenient hanging hood for vertical placement or they can be laid flat for use in other filter systems. Dimensions 8 inches long by 4-1/2 inches in diameter. Set of 3, original factory replacement for Pond Care 2000 filter.